The first modern jeans were created by two foreign immigrants named Levi Strauss and Jacob Davis. 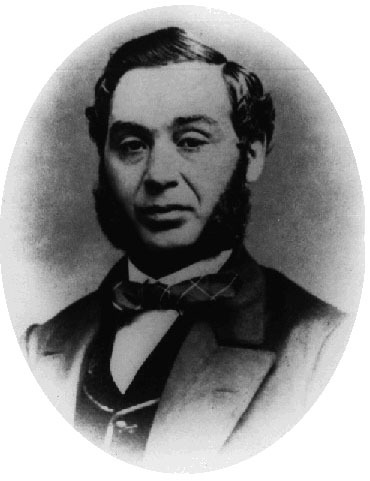 In March 1853, 24-year-old German immigrant Levi Strauss moved to San Francisco, California where the commercial center of the California Gold Rush was located. His original purpose was to start a branch of his brother’s dry goods business, including selling fabric. One of his customers, Jacob Davis, who was a tailor himself, regularly bought cloth from Levi. The pants that Jacob made kept ripping, especially at the points of strain. Luckily, he finally solved this problem by putting metal rivets on those points. These riveted pants became so popular that Jacob wanted to patent them. Unfortunately, he didn’t have the money required for the application papers. He needed a business partner, and thought of Levi Strauss. Levi jumped at the chance – he was an intelligent businessman and saw promise in this new product. Thus, on May 20th, 1873 the two men finally received their patent which is now known as the official “birthday” of jeans.